The MCYAF OPTIONS Program is our program which offers an educational alternative to fines for first time offenders of substance abuse laws . This class is offered as needed. Please call or text 847-858-7090 to register . This class is offered to first time offenders who choose the education option over the fine. The class is held at Maine South High School in the Principal's conference room from 7-9 pm. on a weeknight. Parents must attend with their children. The cost of the class is $125 with a reduced fee offered to free and reduced lunch students. This one-session 6 hour Saturday educational program is intended for FIRST TIME OFFENDER high school adolescents who are coming into contact with various disciplinary systems (school, police, court) for the first time because of alcohol and other illegal substances (including tobacco) and need a drug and alcohol education course. This program mandates that parents attend the last two hours of the program with their teen. 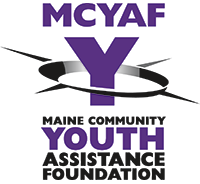 The MCYAF OPTIONS drug and alcohol education program is offered by Maine Community Youth Assistance Foundation (MCYAF) whose objective it is to educate teens and their parents about the facts of drug and alcohol use, how to make good decisions and the impact of making bad ones. We emphasize teen brain development, do goal setting and provide a learning environment for teens and their parents to discuss issues. We embrace the “Just Say Know” motto of drug education. The MCYAF OPTIONS program is a one session 6 hour educational program offered on Saturday from 9:00 a.m. to 3:00 p.m. at Maine South High School in Park Ridge, Illinois. The teens are required to attend the first four hours of the course and the parents are required to join them for the last two hours. There is no drug screen or assessment required for this program. However, if a parent desires one, we can refer them to the right source. We use evidence-based research in drug education as a fundamental outline for our program. We provide information and work with the teens to set goals. Successful completion of the program requires a release of information to be signed by the adolescent and guardians to provide findings to the courts and schools, and/or fulfilling legal and/or school requirements. The program cost is $250 per family payable by check or credit card to MCYAF. There are no other additional costs associated with the program and snacks are provided. If you want something particular to eat, please bring your own lunch. If the teen is on documented free and reduced lunch, we can provide the class at a reduced rate. Once a family is registered, there are no cancellations made nor refunds given. Certificates of attendance and letters are provided to the respective police departments, if applicable, upon the completion of the course. All classes are held at Maine South High School at 1131 South Dee Road in Park Ridge, Illinois 60068. Enter at Door #6 and go directly in to the Principal's Conference Room straight ahead on the right.